Jaxville Gold & Silver Trading Co.
Jaxville was established in 2004 as an actual bullion exchange open to the public. The shop was opened with the goal of placing as much specie (gold and silver bars and coins) as possible into the stronger hands of the community. We emphasize the private acquisition of gold. To that end we strive to keep Royal Canadian Mint gold maple leaf coins in stock and offer spot gold prices to those inclined to sell. 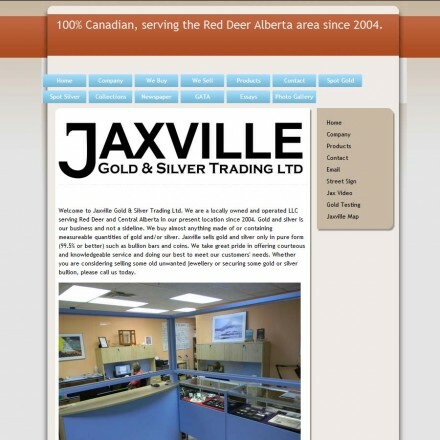 Jaxville Gold & Silver are a local Red Deer, Alberta based precious metals dealer with a mission to increase precious metals ownership as a means to protect assets. 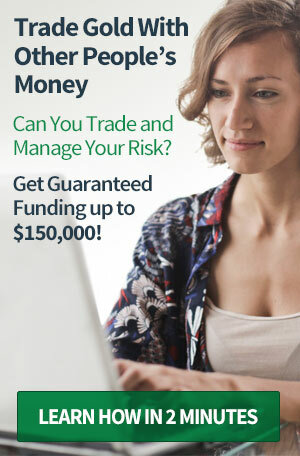 They sell bullion bars and coins as well as proof sets, rare, numismatic and collectible coins and buy all precious metals including coins, bars, scrap and unwanted jewelry. 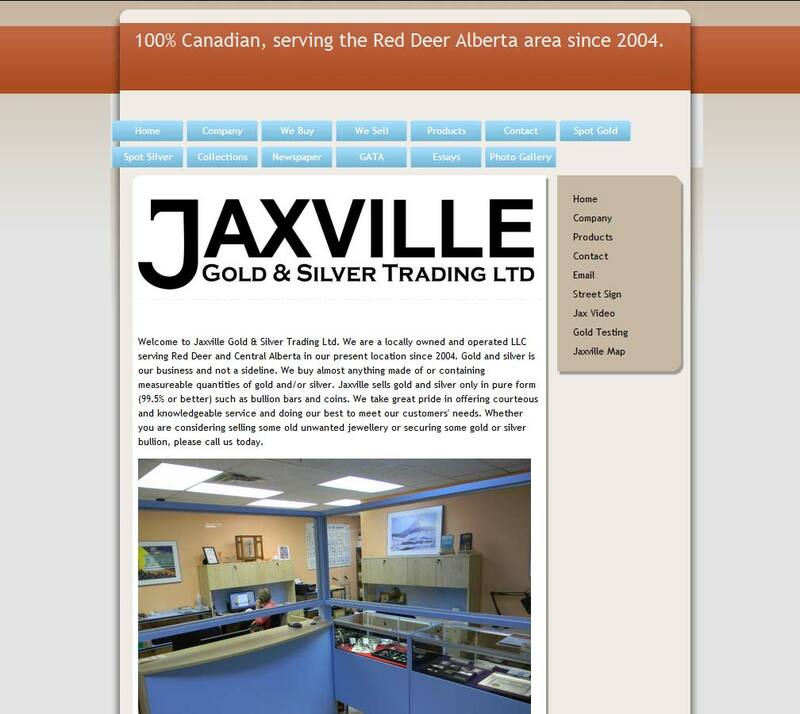 When doing business with Jaxville Gold & Silver - please say you saw them in Bullion.Directory. 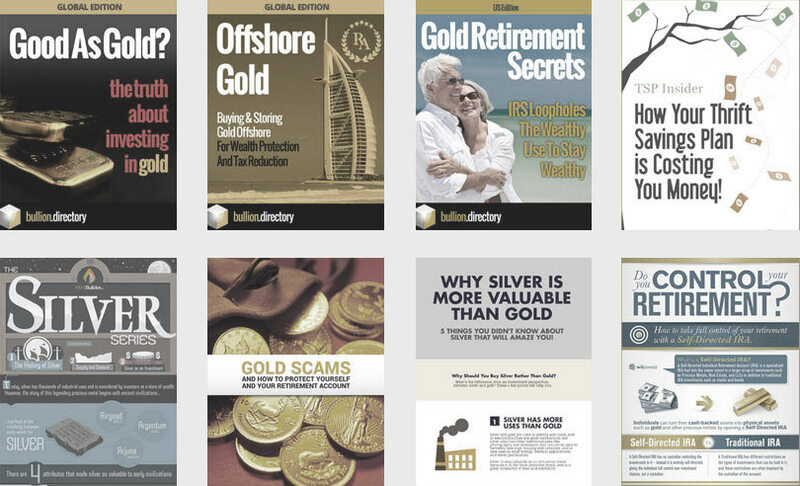 Read or add Jaxville Gold & Silver reviews and ratings using the "reviews" tab above. All Jaxville Gold & Silver details are believed to be correct at the time of listing. Please report errors here.